Looking to replace your shower or tub? Trust the experts at Heidler, Inc. to get the job done right the first time. Call (410) 268-7191 to work with the top Annapolis shower and tub installation team. Click here to view our current specials and discounts. Are you planning to remodel your bathroom? Need to upgrade your shower or tub? 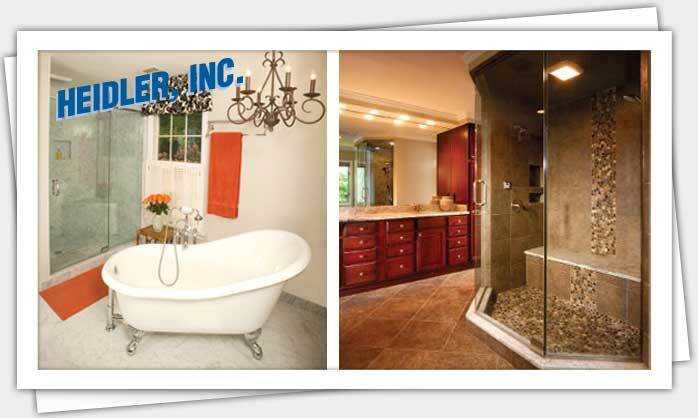 Count on your Annapolis shower and tub experts at Heidler, Inc. We will help you choose the right model for your home and install it for you without hassle. To see how we have helped your neighbors, click here to read our latest customer reviews. When is it time to replace your shower or tub? Has your shower or tub been damaged? Is it stained with mold or mildew? These can decrease the value of your home if you are planning on selling it. Water leaks may also develop if a shower or tub is in poor condition, so replacing it may be necessary. Let us help you install a new shower or tub to improve the look of your bathroom. Aside from functional concerns, you may want to replace your shower or tub if you are remodeling your bathroom and want to upgrade to a more modern look. You may also want to install extra features, such as additional shower heads or a bench seat. These can add functionality to the space, while making showering and bathing a truly relaxing experience. Our technicians will meet with you to discuss your goals. You can select the features you would like to install, or we can help provide them for you. We provide a customized estimate with competitive, upfront rates. Improve the look of your bathroom with a new shower or tub. You let us know your preference, and we will take care of the installation. We guarantee you will love the final result. Call us today at (410) 268-7191 to get started.